This deserves a blog post at the very least and hopefully I’ll get time to write a review over at God is in the TV too. 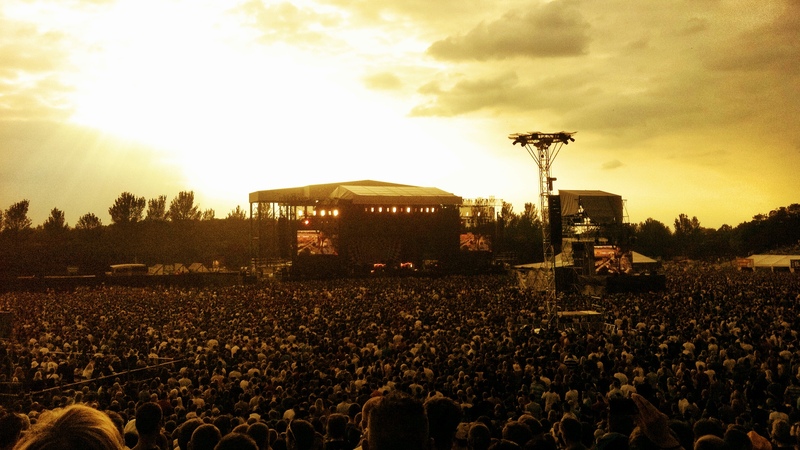 After months of anticipation the Foo Fighters show at Milton Keynes Bowl finally came around. It was a day of eye-openers; from the stark realisation of just what 65,000 people looks like to the stunning musicianship of Dave Grohl and co. The two and half hour set was filled with nostalgic highlights, unexpected surprise guests and all-round musical mastery. It was preceded by a sublime set from Biffy Clyro and Jimmy Eat World too! Now, about those special guests! The previous night had seen Alice Cooper join Grohl onstage but we were treated to Seasick Steve and John Paul Jones! Performing a rock rendition of Seasick-classic Doghouse Blues the trio (Grohl on drums) set about firing up an already excitable crowd. Unforgettable stuff. It’s been a long long time since I’ve seen a band hold a crowd in such suspense and enjoyment and I think it will be even longer until I witness it again. Incredible day, incredible band.